Christmas fun! 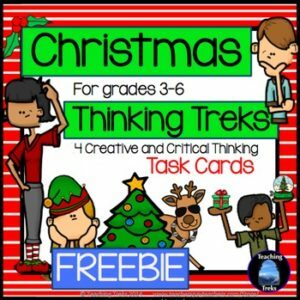 This freebie is a set of 4 critical and creative thinking TASK CARDS, designed to provide opportunities for higher order thinking. All Christmas treks involve discussion and problem solving and are ideal for collaborative learning.